Developing high performance & responsive web designs using Joomla, the world's most mobile oriented, full featured and user friendly development platform. Joomla is an easy-to-use open source content management system (CMS). Using Joomla, website owners can easily add and edit content to their websites. Joomla's flexible management tools are the reason for its wide use. WebGuru India leverages this quality to provide small businesses as well as established corporate companies with Joomla customized website designs. Joomla is a leading content management system that helps to develop highly secure & extensible websites. With the availability of more than 6000 extensions, Joomla provides you with the option to add preferred attributes and extra functionality to your website. It is backed up by a large number of developers and coders always present on community pages. We utilize Joomla to create mobile friendly responsive websites. We have a highly experienced and specialized team of experts who build budget friendly websites and web apps that help in increasing your business website’s traffic, improving business sales and enhancing ROI. We have provided exceptional Joomla solutions to a lot of companies and this number is growing gradually. 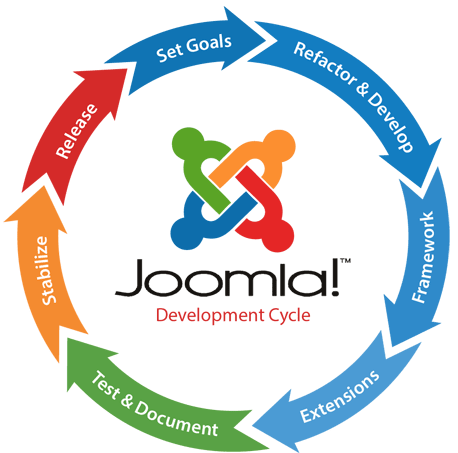 We are Joomla developers in Chandigarh, India. Chandigarh's Leading Joomla Web Development Company ! Ink Web Solutions provides Joomla Web Development services in Chandigarh, Mohali, Himachal Pradesh and India. Chandigarh's Most Trusted Joomla Development Company. Highly experienced Joomla professional development team with experience of hundreds of websites.